Trella Technologies is a Title III - Regulation Crowdfunding Campaign and is actively accepting investments. Grow tall plants in small spaces. Urban and indoor farming are the future, but traditional farming methods and tools won’t always translate from the field to the indoor farm. At Trella Technologies, we create energy-efficient and globally-scalable solutions to problems unique to the indoor farming industry. In an aim to ensure the industry’s longevity for future generations, we're diversifying the types of plants that can be grown indoors with sustainable, automated plant-training robotics. Trella Technologies was born when CEO Aja N. Atwood struggled to grow tall plants in her small basement. As an engineer faced with a lack of space, she dove deep into research which revealed the concept of growing plants horizontally. However, all the existing methods she could track down were manual, labor-intensive, and inefficient. So, together with fellow inventor Andres "Dre" Chamorro III, the two prototyped, built (and built again) what would become Trella Technologies' unique plant-training solution. Every step of the way, they sought and incorporated input from experienced growers and engineers to refine the design and prepare it for production. Join Us. We're currently gearing up for or our production mode phase of the fifth design revision. Choose Trella Technologies and help change the way the world grows. A convertible note offers you the right to receive Class B Units in Trella. The number of units you will receive in the future will be determined at the next equity round in which the Company raises at least $4,070,000 in qualified equity financing. The highest conversion price per unit is set based on a $30,000,000 Valuation Cap or if less, then you will receive a 20% discount on the price the new investors are purchasing. You also receive 10% interest per year added to your investment. When the maturity date is reached, if the note has not converted then you are entitled to receive Class B Units equal to your investment and interest back at a price per security determined by dividing the Valuation Cap by the aggregate number of outstanding membership units of the Company as of immediately prior (on a fully diluted basis). We are seeking to raise a minimum of $10,000 (initial target amount) for fundraising marketing to continue the raise to $107,000. If we reach our offering maximum, we are contemplating increasing the offering maximum to $1,070,000 through Regulation Crowdfunding. Receive a Trella Technologies sweatshirt or vest, your pick! You will be invited to visit our research lab in Massachusetts and to meet Team Trella. (Transportation and accommodation not included). You will receive a personal invite to a dinner with the founders of Trella Technologies as well as a tour of the research lab in Massachusetts. Location and time need to be mutually agreed on (Transportation and accommodation not included). We've designed our product to serve both residential and commercial growers. With horizontal plant training, every branch gets optimum light– potentially increasing yield per plant by more than 25% when compared to manual methods. In addition to higher returns, Trella’s automated system uses gentle low-stress training (LST) to help you grow healthier plants in less time, without the need for pruning and trimming. Indoor horizontal training, by design, allows users to grow their favorite cannabis strains, fruits, or vegetables year-round. Plus, commercial growers and farmers can reduce operating costs and stay competitive with the TrellaGro LST AutoSync LED™ feature, which syncs your lights to come on only when your plant truly needs it. Commercial growers will be able to meet high market demands by growing taller plants in existing small spaces while reducing their energy and operating costs. Commercial and residential users can already benefit from Trella, but it's our belief that this is just the beginning. The applications of TrellaGro LST are potentially endless: from growing cannabis in your basement, to feeding Mars missions. TrellaGro LST has multiple applications. Our system helps indoor cultivators (including residential and commercial growers) grow taller/fruit-bearing crops (fruiting plants, cannabis sativa, and hops) in spaces that were previously problematic due to height constraints: spaces with low ceilings, or vertical/stacked arrangements like those found in urban farms, freight containers, basements, grow tents and closets. Due to state regulations that limit plant count, residential growers need to maximize their per-plant yield. Trella has been shown to increase one plant’s yield by more than 25%. Additionally, as the cannabis industry expands, commercial growers need sustainable and efficient methods to stay competitive. TrellaGro LST enables growers to use space efficiently to grow a more diverse range of taller strains as well as "mother" plants that provide cuttings for propagation. Lastly, Trella's automated system means commercial growers are able to reduce their labor costs. The TrellaGro LST is an automated low-stress training solution to grow tall plants in small spaces. Available in two standard as well as one custom model (sizes and features vary), our system also includes an optional subscription-based app to monitor plant growth rate and environmental conditions. Trella is a first-to-market brand, with a patent-pending, never-before-seen innovation, that intends to be a leader in the indoor farming technology sector. We've strategically located ourselves in the US Northeast, where indoor farming is on the rise. Our lab and business operations are in Massachusetts, a leading state for cannabis legislation and where we have access to skilled growers and licensed businesses operating in the state’s medical and adult-use marijuana markets. We have a strong team with amazing experience, and the necessary skills to execute our mission to revolutionize indoor farming. If you’re growing indoors, you have height restrictions that not only affect the way you grow, but your actual harvest quality and yield. And regardless of which lights you use, a traditional overhead grow light cannot penetrate lower branches, which limits yield. There are various ways to manually train your plants to optimize plant growth and increase yield by 25-40%. Topping, Supercropping, and Scrogging all require pruning of branches at the lower parts of the plants. Removing these branches prevents waste of water and nutrients, but also reduces the number and size of colas a plant will produce. Low Stress Training is a method near and dear to Trella because our system combines the benefits of low stress training with automation. Also, low stress training doesn’t require any actual cuts, which can damage plants and slow down or inhibit growth. With gentle bending of branches, low stress training allows the plant to grow in a sideways direction, letting all side branches receive more optimal light and grow into their own colas. Unlike the training methods mentioned above, where branches are trimmed, horizontal growing through low stress training allows growers to keep all branches intact and therefore maximize yields. TrellaGro LST outperforms existing plant training methods. With our automated plant training system, growers can increase their yield, reduce operating and labor costs and grow a wider variety of plants to stay competitive in an expanding market. Growers can achieve this benefit while reducing the number of plants required, saving additional cloning, labor and waste costs. With a higher yield, and/or shorter growing cycles, commercial cannabis cultivators can experience an increase in their annual harvest output while savings costs. We're here to help: With a subscription to the TrellaGro LST app, growers can have remote control of their units and monitor their environmental conditions. The settings can be optimized based on data collected across multiple plant types, strain varieties and growing conditions. Additionally, the data can be shared with fellow subscribers across the globe, accelerating the spread of sustainable operating practices for the indoor farming community. With the TrellaGro LST subscription-based app, cultivators can track growth rate vs. various environmental conditions to optimize their output, creating more harvest cycles per year. Machine learning algorithms, aka AI (artificial intelligence), can take field data, such as plant growth rate, temperature, humidity and CO2 levels among others, to develop probability models. This information is far more than any human can grasp. Machine learning can predict which environmental conditions are most beneficial to the plant's health and growth. What specific aspects of Trella appeal to you the most? Why? "Automated features, reduced human error and control"
"Saves space, higher yield and better management of plants"
"The automation of the system, the compact design and lower labor cost"
"The Trella system has taken what we are doing in our back rooms and provided the technology to take it up several levels, increasing yield and decreasing manpower." "The design, the sleekness, are all wonderful. I really love the brand and how you raised money through crowdfunding. And I love your mission to help people grow that have space they didn’t think was possible to grow in prior." We are currently in the early production phase with our fifth design revision. Since early 2017, we've designed and built four prototypes. A plant growth trial was conducted for each prototype design, with improvement and modifications made along the way. Provisional patents were filed in April of 2017, followed by the filing of a US Utility (Non-Provisional) Patent and Foreign PCT application in April of 2018. In April of 2018, we publicly announced the creation of the world's first automated plant trainer and raised money with the help of family, friends and early supporters. Since then, Team Trella reached out to the indoor farming community. We received valuable feedback from our target market. We attended trade shows, industry events and even conducted a market research survey. As a result, we modified our design to create the TrellaGro LST (version 5). The main goal for 2019: showcase our product working in a commercial style environment for marketing purposes. Successful grow trial demonstrations (by Beta Users and Trella) will lead to market acceptance in order to obtain sales for revenue generation. Additionally, we are currently in the process of building the TrellaGro LST Model 6 (version 5) for grow testing and public showcasing/marketing. Our device also comes with a software application to allow the user to track plant growth rate vs. the environmental conditions, such as temperature, humidity, and CO2 levels. The data gathered from units across the globe will be mined and refined for usability via machine learning algorithms. The app and database are currently under early stage development for web-based applications (followed by mobile-based applications). The TrellaGro LST AutoSync LED™ feature is under early stage development and will be made available during the next generation design. 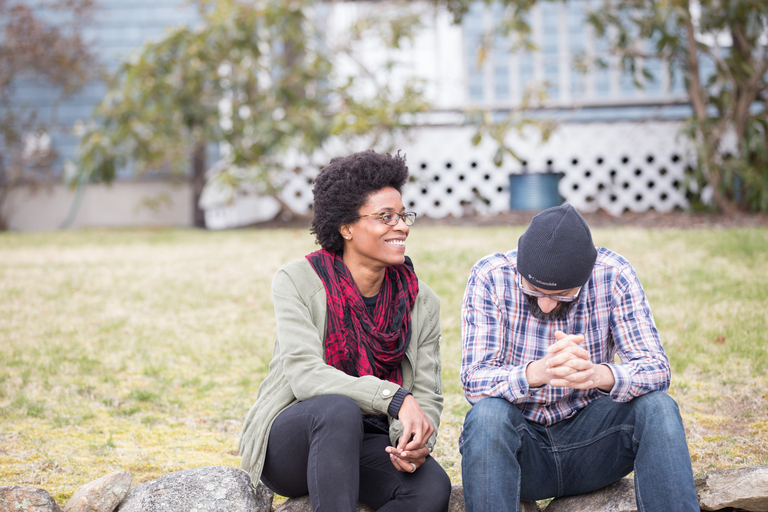 We're a diverse group of individuals with different backgrounds, strengths, and perspectives — which we believe makes us stronger. We value, and utilize, input from every member of our team. We're very engaged in our consumer communities and make it a priority to be tapped into their needs, advocating at community events and soliciting user feedback at every step. We're in this business for more than money: we believe the community is important. For that reason, we plan to donate several units to nonprofit organizations to help them grow on their own. We've even identified our first donation recipient! Trella is headed by cofounders Aja N. Atwood (CEO) and Andres "Dre" Chamorro III (VP of Engineering). Atwood is a cannabis cultivator and advocate with strong connections within the industry and community. She was the former CTO of a technological/agricultural start-up and brings her experience in training and hiring teams in hands-on development and creation of working prototypes. Chamorro has a strong background in the medical device and robotics industry with more than 30 patents and access to production and prototype equipment. He is an expert at design for manufacturing. Since inception, we've worked diligently to develop the design with a focus on true innovation. To protect our intellectual property, we partnered with Hamilton Brook Smith Reynolds, one of the top Intellectual Property law firms both nationally and regionally. With their support, we completed a thorough prior-art search before filing our patent application and we are now patent-pending in the US and internationally. For more information on Hamilton Brook Smith Reynolds, please click here. At Trella Technologies, we believe that residential and commercial farming are just the beginning. Our vision of the future of Trella Technologies includes feeding hungry people globally, and even growing plants on missions to Mars. We are seeking to raise a minimum of $10,000 (initial target amount) for fundraising marketing to continue the raise to $107,000. If we reach our offering maximum, we are contemplating increasing offering maximum to $1,070,000 through Regulation Crowdfunding. The funds raised from this campaign will go toward sales and marketing, software application development, product testing, and certifications, as well as leasing space for our testing and R&D lab. We'll manufacture and assemble production units right here in the U.S., and hire more staff to do so. Plus, we'll inject money into our social media campaigns and participation at tech, farming, cannabis and other trade show events. Join Us. Our business is growing, and we're ready to take our company to the next level by tapping into the commercial farming industry. We've built relationships and partnerships with the farming community over the past few years, and we're plugged into the industry via social media, trade shows, and events and public speaking engagements. We are looking for funding to tap into our strategic partnerships with industry-related companies to move forward! MIT Enterprise Forum of Cambridge panel to share insights about how startups can capitalize on the burgeoning business opportunities. 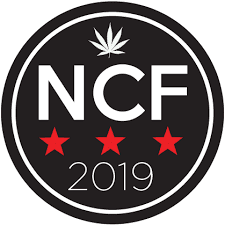 The MIT Enterprise Forum (MITEF) of Cambridge will bring together a spectrum of cannabis cognoscenti across business, academia, and technology. Commissioners received a warm welcome, with several commenters giving them kudos for the commission’s work to date. Aja Atwood, of Mashpee, co-founder of Trella Technologies, complimented the commission on its public outreach efforts. 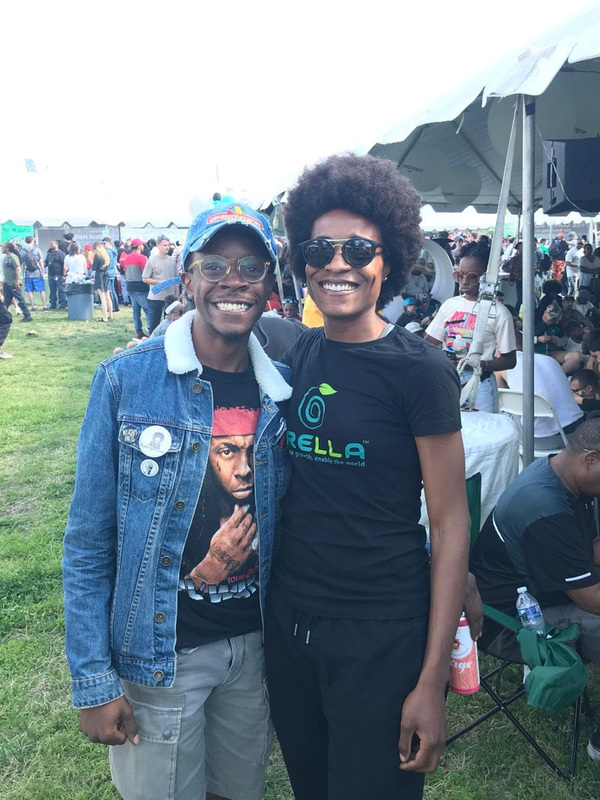 In our interview with Aja, we asked a variety of questions to learn more about Trella Technologies, and what it takes to build a business in the cannabis industry! I met with ELEVATE NE member Aja Atwood at her house on the Cape on a sunny, crisp day. Her house faces a beautiful view of a pond and forest. But Aja, used to the gorgeous scenery, was more excited to talk about cannabis and her agritech enterprise, Trella Technologies, LLC. We got to it. MIT Enterprise Forum of Cambridge panel to share insights about how startups can capitalize on the burgeoning business opportunities The legal cannabis industry is primed for explosive growth. With Massachusetts ending the prohibition, opportunities abound and entrepreneurs are getting involved. As Massachusetts looks at making recreational marijuana available for adult-use, it is simultaneously legalizing a large but illicit industry while making it conducive for a startup system to flourish. As we look to track the fledgling industry, here are nine women who are stirring the pot in Mass. When Mashpee’s Aja N. Atwood struggled to grow tall cannabis plants in her basement, she did what any mechanical engineer would do: She researched the problem and devised a plan to create a solution. Ms. Atwood urged voters to vote against the ban. She said that Trella has looked to grow from basically a garage to an actual commercial space to better develop the technology. Mashpee eventually voted against the ban, a huge win for Trella Technologies! A convertible note offers you the right to receive Class B Units in Trella Technologies LLC. The amount of Class B Units you will receive in the future will be determined at the next equity round in which the Company raises at least $4,070,000.00 in a qualified equity financing. The highest conversion price per security is set based on a $30,000,000.00 Valuation Cap or if less, then you will receive a 20.0% discount on the price the new investors are paying. You also receive 10.0% interest per year added to your investment. When the maturity date is reached, if the note has not converted then you are entitled to receive Class B Units equal to your investment and interest back at a price per security determined by dividing the Valuation Cap by the aggregate number of outstanding equity securities of the Company as of immediately prior (on a fully diluted basis). We are seeking to raise a minimum of $10,000 (initial target amount) for fundraising marketing to continue the raise to $107,000. If we reach our offering maximum, we are contemplating increasing the offering maximum to $1,070,000 through Regulation Crowdfunding. Trella Technologies LLC will offer 10% additional bonus interest for all investments that are committed, within 24 hours of this offering going live, by StartEngine Crowdfunding Inc. shareholders who invested over $1,000 in the StartEngine Reg A offering which closed earlier this year. Advocating for and supporting sustainable agriculture goes way beyond the Trella lab. 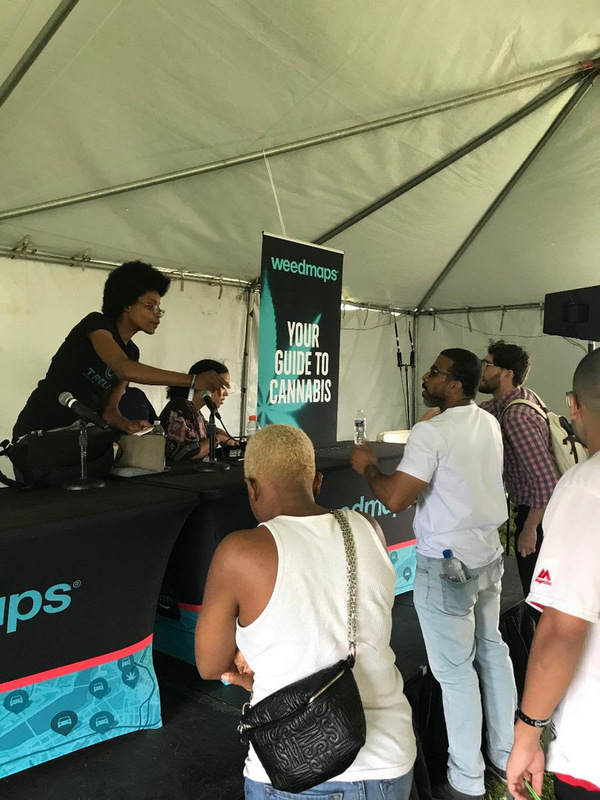 That’s why our CEO, Aja N. Atwood, headed to Washington D.C. last weekend to lend her expertise to the National Cannabis Festival Education Village. Aja presented with fellow cannabis entrepreneur and disruptor Shanel Lindsay of Ardent Cannabis about women in tech and how the cannabis industry's innovations can potentially solve global problems. Check out pictures from D.C. below! Although the economic, health and social implications of the rapidly expanding cannabis industry have been debated, the environmental impact and opportunities are far less discussed. 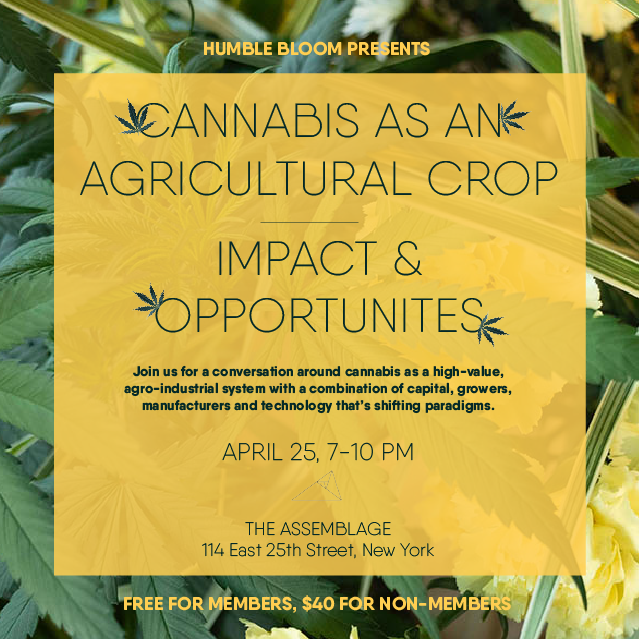 Please join our CEO, Aja N. Atwood, in New York tomorrow, April 25, for a panel discussion presented by Humble Bloom. Click here for more details and to register. April showers bring May flowers... and another big surprise from Trella! 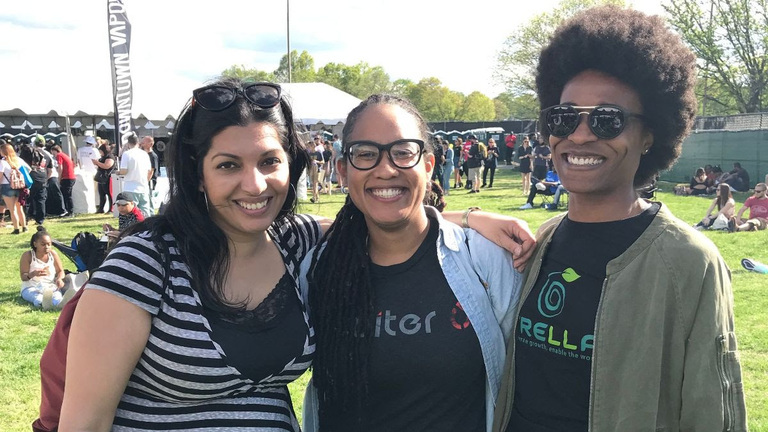 Please stay tuned for an exciting announcement about our CEO and co-founder, Aja N. Atwood, who was recently selected for an unexpected recognition that will bring more eyes to Trella, women in tech, and our mission to revolutionize indoor farming. As you might know, Trella Technologies has exceeded its minimum funding goal. When a company reaches its minimum on StartEngine, it's about to begin withdrawing funds. If you invested in Trella Technologies be on the lookout for an email that describes more about the disbursement process. Trella to attend "Mass Innovation Nights" & We Need Your Help! We're excited to announce that our product, the TrellaGro LST™ was selected for a product showcase at "Mass Innovation Nights"! on May 9th! About Mass Innovation Nights - Boston is the home of the original Innovation Nights events. It all started in April 2009 as Mass Innovation Nights (MIN) with a website and a monthly event designed to help local innovators increase the buzz around new products and companies. Every month ten companies bring new products to the event and the social media community turns out to blog, tweet, post pictures, and video, add product mentions to LinkedIn and Facebook statuses, and otherwise help spread the word. Of the ten companies, only four are allowed to present and showcase their product and this selection is based on public voting. Team Trella could use your help. Please Vote for TrellaGro LST, so that we can make the most out of this opportunity to showcase our product. This is a great opportunity to spread the word about our mission to provide globally-scalable solutions for the indoor farming industry. To Vote: please click here and select "Vote Here" on the left side of your screen! Thanks in advance for your support! 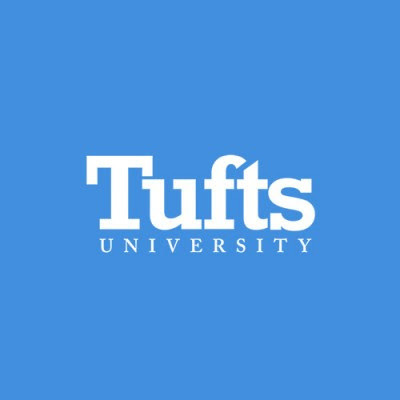 Check out the Trella Lab & News from the Tufts University Cannabis Debate! 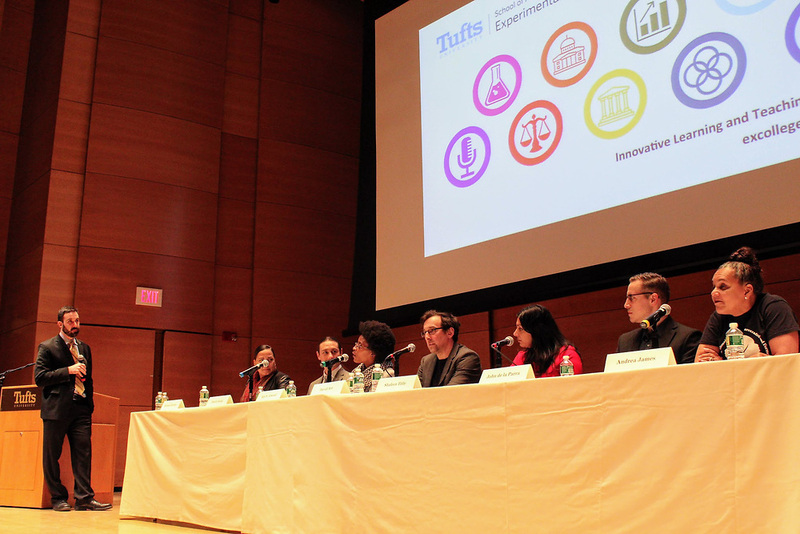 Our CEO and co-founder, Aja N. Atwood, participated in "The Cannabis Debate" at Tufts University's Experimental College. The event features scholars and experts from health care, law enforcement, government regulation, business, science, and international perspectives. Check out news from the event here. Trella raises over $18.5k in first week of crowdfunding campaign. Last week, Trella Technologies, LLC announced the launch of a Regulation Crowdfunding (Reg. CF) campaign. After only one week we are thrilled to share with you that we have raised more than $18,500 utilizing this modern fundraising platform! Thank you to those who've already invested and for all your support as we continue the campaign. We could use your support! Please also feel free to share the link with anyone you know who may be interested in revolutionizing indoor farming with us. Trella CEO featured in Big Buds Magazine! A news update for the Trella Community! Enjoy! Welcome and thank you for your interest in Trella Technologies and our offering! We’re thrilled to officially launch our StartEngine page and to use this trusted platform as a resource for folks considering investing in our groundbreaking technology company. This page will be updated regularly with Trella news, campaign updates and milestones, so please come back often and feel free to share the link with any colleagues, family or friends who might be interested in investing in Trella. Of course, if you have any questions or feedback, please share them in the comments section at the bottom of the page. Thank you for stopping by and for considering our offering. We’d be honored to welcome you to the Trella team!